Hey guys! 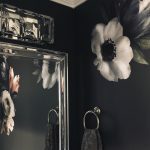 It’s been a while since I have posted on my personal website (you can usually find me on Style Collective or The Becoming Fearless Podcast), but I am going to start popping in here more often to share a passion of mine that I’ve been developing for many years: interior design. 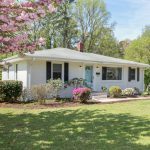 It all started when we purchased our first home in New Hampshire and DIY flipped the inside. 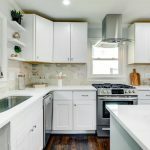 Our kitchen flip was featured on Houzz back in 2015 and then in 2017, we moved to Raleigh, NC to build and design our dream home. Through this process, I have learned SO much about creating a beautiful interior and the details that bring it all together. This past December, one of my girlfriends in LA wanted to see some photos of how our home decor was coming along so I sent her a few photos of each room that I had been working on. A minute later, my phone started ringing and for an hour, my friend told me that I had this talent for home design and I needed to pursue it. It was her phone call and encouragement that inspired me to take action on my new passion and hidden talent. We had our friends Maya and Brian over for dinner around the holidays (she also happened to be our realtor!) and she told us about a flip property that her real estate office purchased. Mike mentioned that I was looking to get into interior design, so she invited me to come to see the property in January and the rest is history! 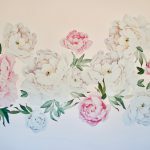 I am now running SC, my podcast, and doing interior design for clients (yes, plural!). I’m also working on a project with my mentor and leadership professor that will start in the summer and I can’t wait to share more info on that later this year. 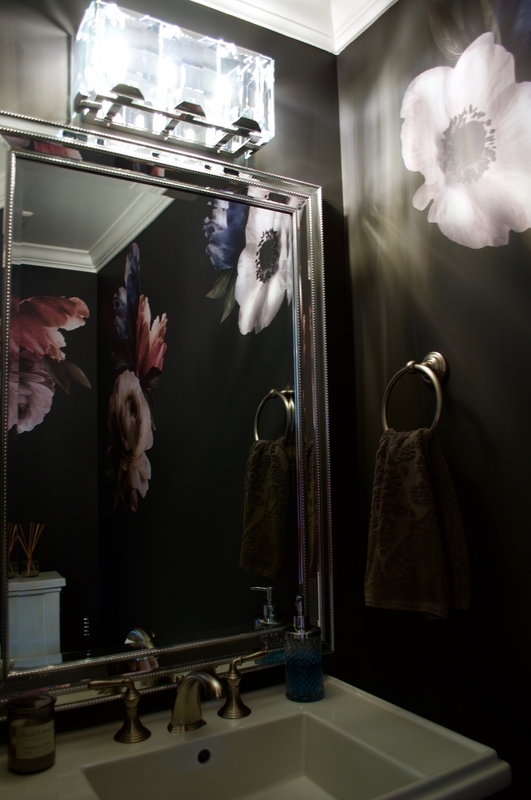 But the real reason you came here is to see my powder room in all of its glam, moody, and floral glory! 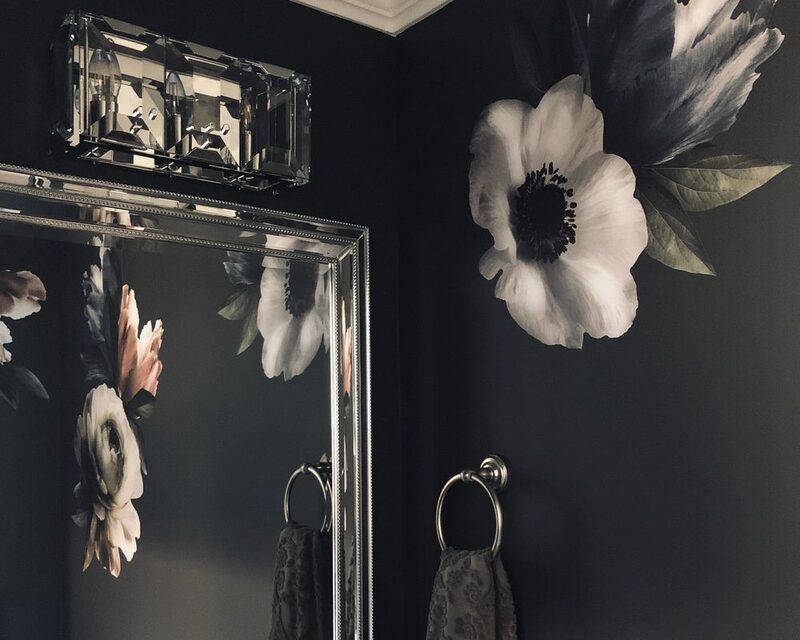 I was first inspired to revamp our powder room after our trip to Barcelona last winter. Our hotel, The Cotton House, had this bathroom with stunning palm print wallpaper that was dark and moody inside. 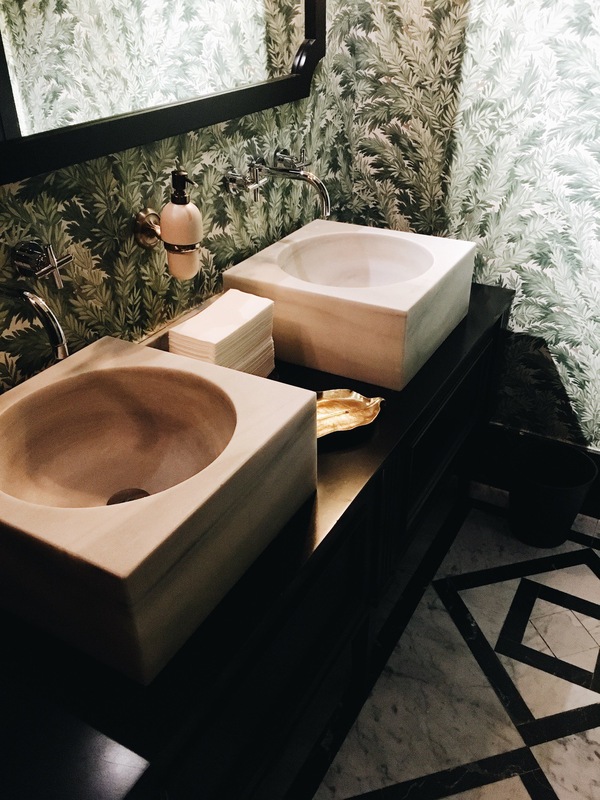 I loved the experience of that bathroom and wanted to recreate this at home, but palm print didn’t exactly go with the theme of our home. So I spent many months searching for photos and mulling on ideas. 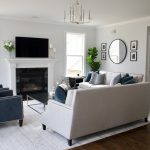 I couldn’t quite put my finger on what I wanted to do until we decided to paint our newly furnished study a dark greyish blue to create a moody space for Mike. 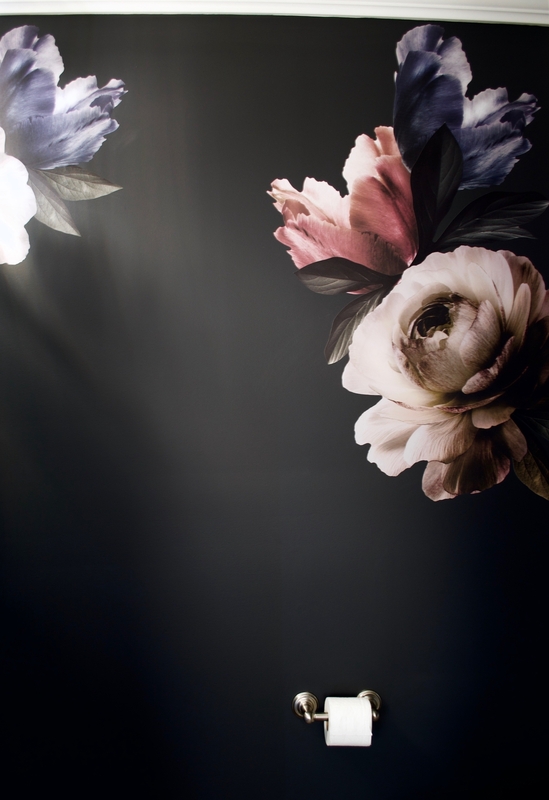 Across from the study is our dining room, which is full of florals and feminine details. I love how the two rooms, across from one another, are complete opposites in style. 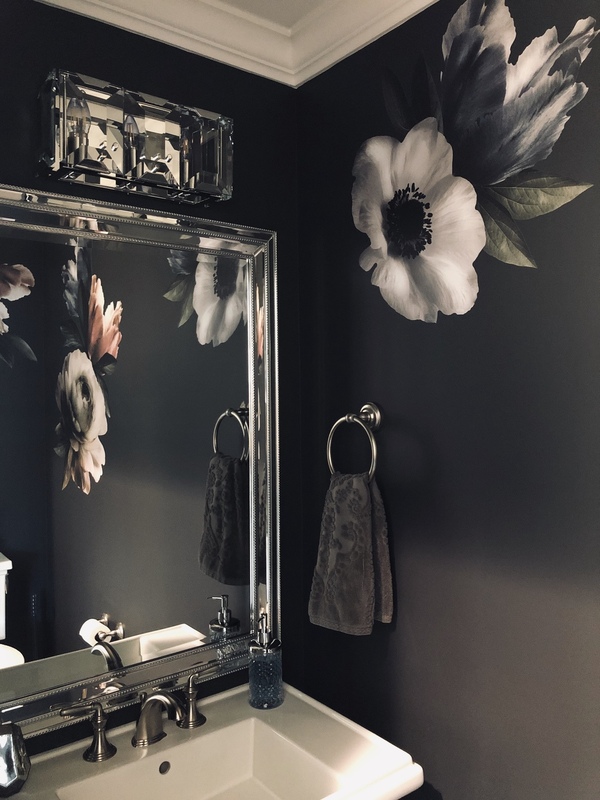 So once I had solidified the theme for the study, I immediately knew that I wanted to paint the powder room (on the same floor) the same dark greyish blue. 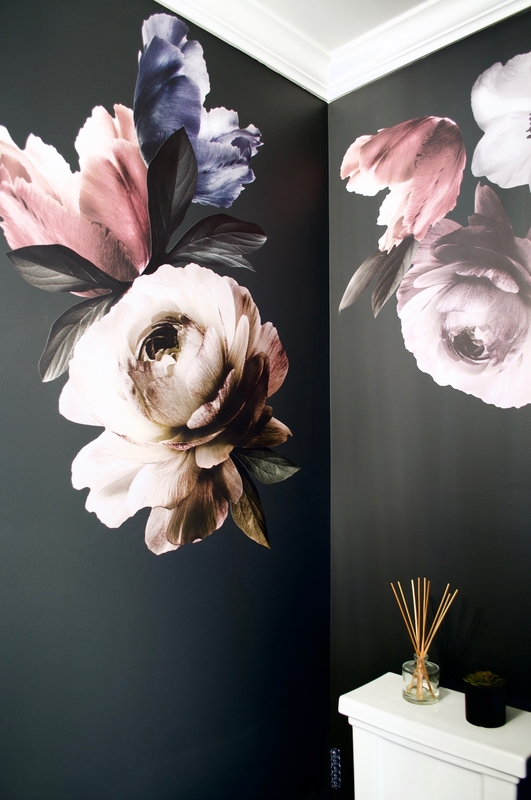 But, I wanted it to be a cross between the study and the dining room: so it was going to have moody floral decals. 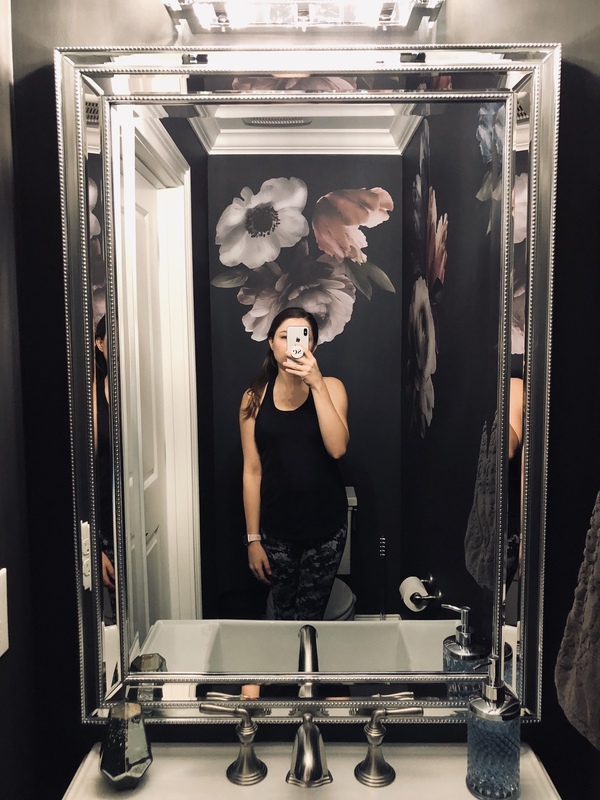 I choose removable decals because the thought of permanent wallpaper just scares me; it’s difficult to install and a nightmare to remove when you need a change. 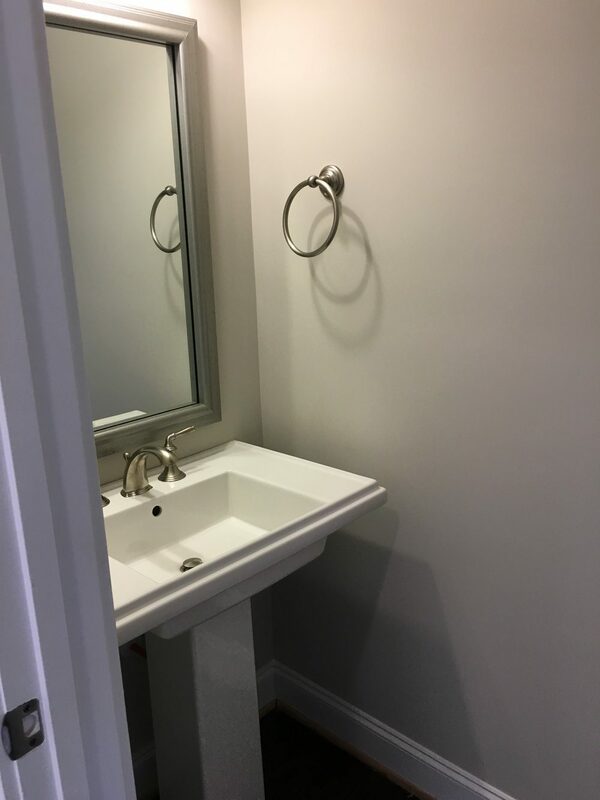 I also wanted to recreate the experience from the Barcelona bathroom, so I found a glam, dimly lit light fixture for the room. I also found the perfect mirror at Home Goods to compliment the space. 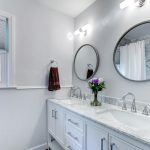 What had taken me a year to figure out all of a sudden came together incredibly smoothly as I found a theme that tied to other rooms in the house.